The Helix3D Hip Joint takes advantage of a groundbreaking design to create a more natural, three-dimensional hip movement. Its polycentric design improves toe clearance and provides threedimensional movement that mimics the movement of the human pelvis, and the hydraulic provides greater stability every step of the way. The results for your patient are dramatic-greater stability and less compensatory movements to make every step more stable and confident. Contact Otto Bock HealthCare to find out more about how you can get your patients into Helix3D today. 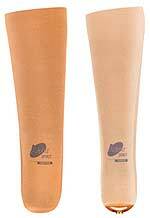 ADR™ ankle, 0-40° dorsiflexion, 0-40° plantarflexion resistance or dampening effects. Flexible fabric that can be used with Velcro®-type materials is a key feature of the Alpha® Spirit Liner and differentiates it from other transtibial Alpha Liners. The ability to attach to Velcro-type material opens up exciting possibilities in terms of suspension when combined with Alpha Spirit Suction Seals. The fabric's extra flexibility makes the liner very easy to don and doff-a key benefit for patients with limited hand dexterity. 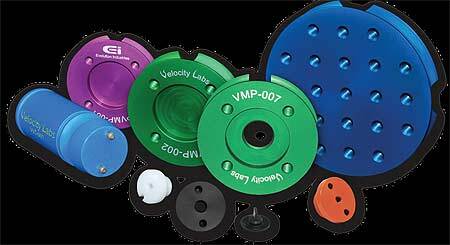 The Trautman Dual Bladder Vacuum Station allows for a variety of options in vacuum forming. The dual-bladder configuration enables better mold preservation and improved surface quality of the molded product. The station can be used as either a dual-bladder or single-bladder vacuum station. Exterior dimension: 24 in. x 24 in. A new feature allows patients to temporarily deactivate the locking function-great for biking or physical therapy! The integrated, low-profile joint provides the best in electronic stance control and helps patients achieve a more active lifestyle. 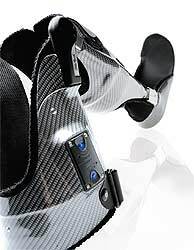 Simple onboard programming helps the E-MAG Active calibrate itself to the user's unique gait pattern, adding a whole new dimension of functionality for people who previously have had limited bracing options, such as a locked knee or manual device. Help your patients get back into the swing of things with the E-MAG Active! Intended for patients up to 320 lb., or those individuals with a severe biomechanical deficit, the 1017-A38 is the latest addition to our comprehensive range of orthotic knee joints. Equipped with 3/8" x 3/4" (9.5mm x 19.1mm) aluminum uprights, the modular design of the 1017-A38 may be used in either a unilateral or double-upright configuration. 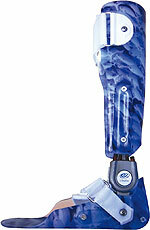 The 1017-A38 can be fabricated into a variety of orthotic designs, including conventional metal and leather, thermoplastics, and composites. The Hosmer Weight Activated Locking Knee (W.A.L.K.) 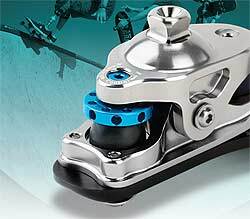 and Single Axis Friction Knee (S.A.F.K.) 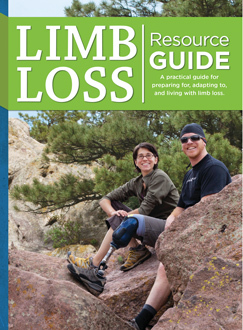 are compact, durable options for patients requiring extra stability and performance. Independent friction and mechanical stance-control adjustments make it easy to fine tune the knee to individual needs. Adding the Sfx provides adjustable stance flexion and greater stability at heel strike, increases balance during initial weight loading, and adds a moderate amount of shock absorption for a smoother gait. Weighing 241 grams with a build height of 3.34 inches, the Sfx comes in three adjustable load levels. 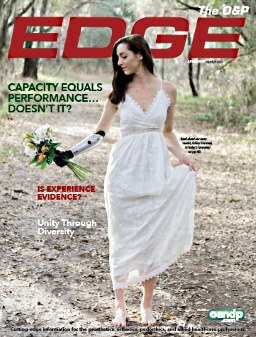 WalkTek K2 Prosthetic Foot—with Free Foot Shell! Visit www.freedom-innovations.com/walktek to see the product in motion. Available on Truper®, Venture®, Tribute®, and Onyx® feet, this adjustable system from College Park allows quick and easy gait adjustments without disassembly. 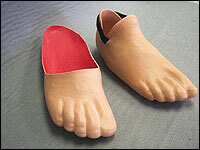 A practitioner can easily fine tune the feel of the foot, increasing comfort and function. A simple turn of a 4mm hex key can change the amount of preload in the system resulting in a perceptible change in motion resistance. A user can feel as little as a ¼-turn of the Stride Control™. Align perfectly the first time, every time, with College Park's Stride Control feature. SPS announces the availability of WalkAide's new kid-friendly pediatric cuff. 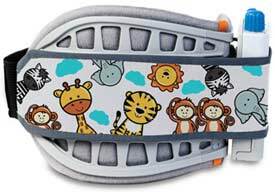 The customizable strap has optional ribbons to appeal to young wearers while the pediatric programming options and adaptive programming facilitate growth as the child's physical needs and abilities change. The washable liner promotes patient comfort and a mother's need to ensure proper hygiene for her child. The self-contained WalkAide system operates on a single battery for up to 30 days without nightly recharging-ideal for playful kids and parents on the go! The pediatric cuff fits leg circumferences from 7½-10 inches. VertaMax is designed and manufactured using dense elastic material that provides significantly more compression than those conventionally used for lumbar supports. VertaMax provides unparalleled anterior-posterior support, abdominal support, perfect anatomic fit, ease of donning and doffing, and soft comfort. Abdominal compression can be increased or decreased with the fastening tabs. The adjustable anterior and posterior plastic panels contour and conform to patients of all shapes, sizes, and lordotic curves with no heat molding necessary. Your patients will appreciate the streamline design that is virtually undectable under clothing. Visit OPTEC at AOPA in Las Vegas, booth 311! 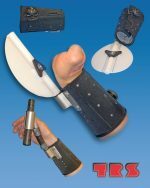 TRS, in cooperation with EXOS Manufacturing and Boa® Technologies, introduces a customizable, thermoformable prosthosis for persons with partial hands, weak, injured, or flail hands, or wrist disarticulation. The prosthosis is constructed of low-temperature (150 degree F) EXOS laminate for easy molding directly to the patient's forearm. The Boa cable-closure technology provides easy donning and accurate tensioning. The stainless, disconnect-bracket system has multiple mounting location options and accepts a variety of terminal devices. Fits most forearms and has a wide range of adjustability. Affordable, easily customized, and very functional!